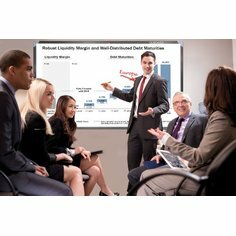 Oliboard SW allows you to work fast and naturally with a digital whiteboard during work meetings or when designing and running educational courses. Object management of whiteboard elements with rotation, mirroring, resizing, audio-video playback functions, etc. Graphics interface customisation; menus can be configured and positioned freely with all functions displayed or only the most essential.